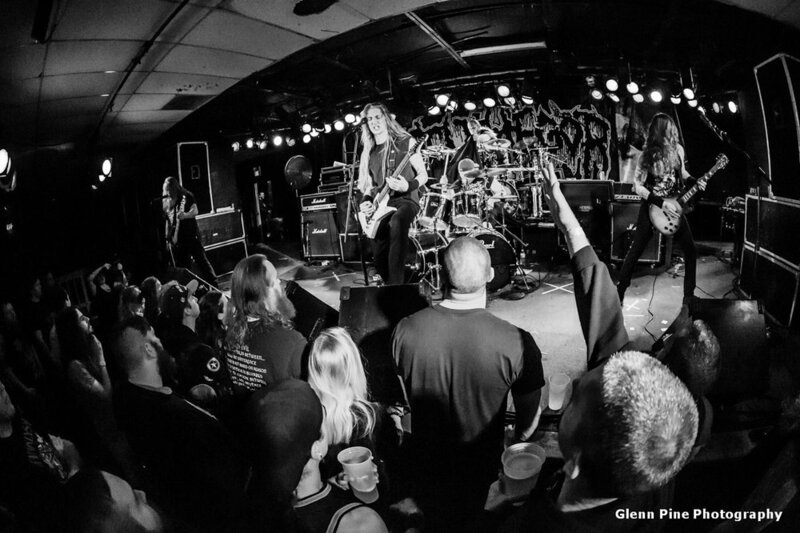 Based out of Ohio, DISMEMBERMENT is a metal band formed in 2010 by brothers Luke (INCANTATION (Live)) and Jacob Shively (INCANTATION (Live), Ex-ACHERON (Live)), bassist J.D. Henderly and drummer Taylor Emerine. Inspired by bands of the past, drawing inspiration while injecting a unique breed of aggression and fury. A cohesive blend of different styles and a breath of fresh air into what has become a predictable and stagnated modern metal sound. Coming soon, Ablaze Productions will be reissuing Embrace The Dark as a deluxe 6 panel digipak. Denied Salvation and The Condemned will follow shortly after. We have added 3 exclusive tour dates for the end of 2017. We will be playing these select dates while continuing work on the new album with the plan of releasing it in 2018 followed by widespread touring. We have added a new shirt design in the webstore for pre order and we have a bunch of new merch that will be added soon. Cheers!